The Independent Communications Authority of South Africa publishes sector statistics once a year. 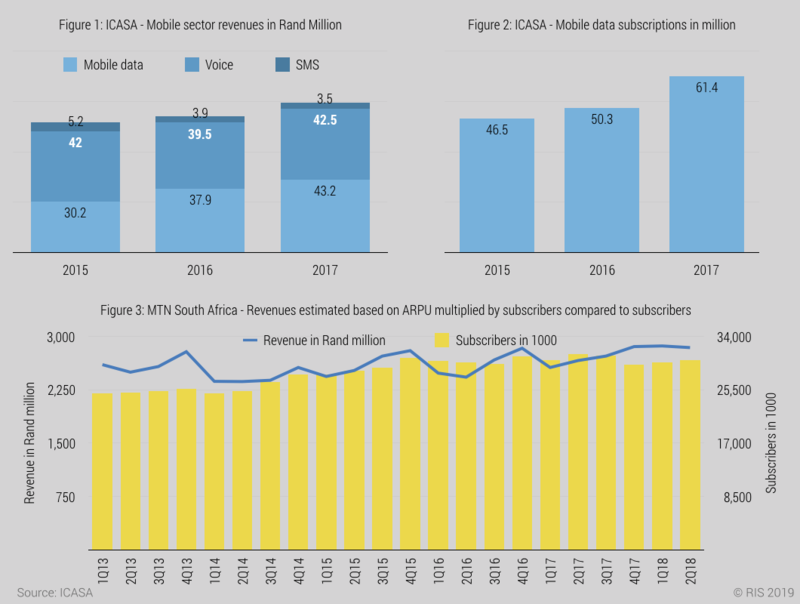 Mobile sector revenues and data subscribers both increased between 2015 and 2017 (Figures 1 and 2). Vodacom and MTN are the two dominant operators in South Africa. Cell C is the 3rd largest and Telkom Mobile is the smallest mobile operator. Cell C does not make financial statements public. Vodacom, MTN and Telkom all enjoyed healthy revenue growth in the past 5 years. 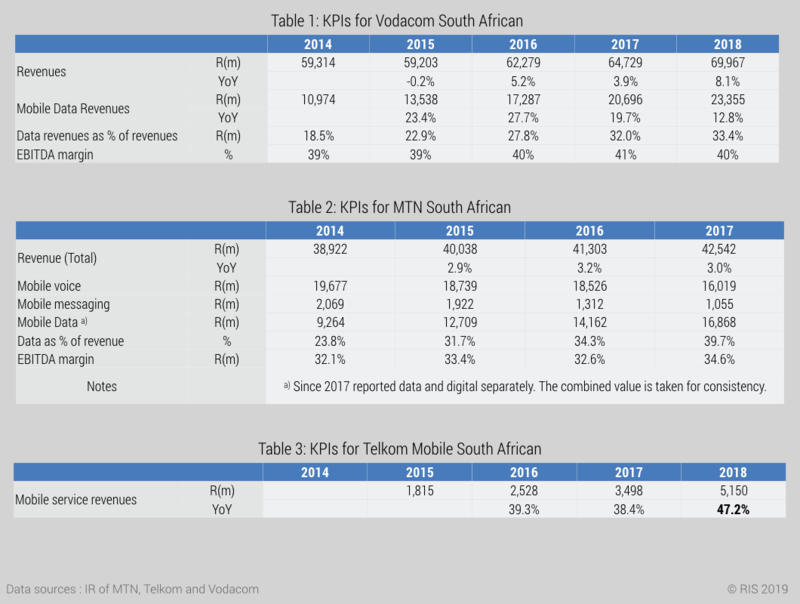 Telkom’s mobile revenues have increased significantly in 2018 (Table 3). All three operators have seen an increase in revenues. Overall voice revenues have been relatively constant, and data revenues have increased significantly. South African operators are able to benefit from data demand driven by OTT apps because of their high 4G population coverage.